In BDSF (Fleetwood) ownership. Did not fish from the port. 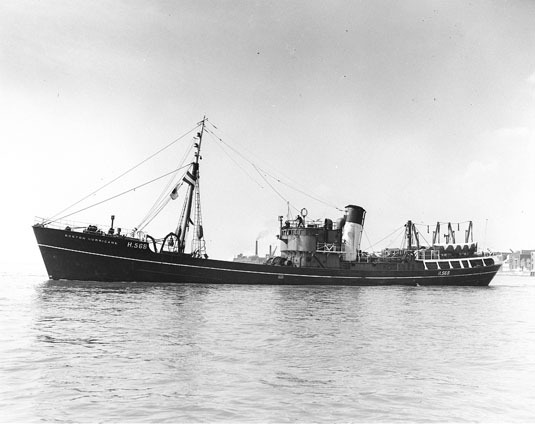 13.12.1947: Launched by Cochrane & Sons Ltd, Selby (Yd.No.1334) for Boston Deep Sea Fishing & Ice Co Ltd, Fleetwood as BOSTON HURRICANE. 31.5.1948: Registered at Hull (H568). 1.6.1948: Completed. Insured for £114,000. Basil Arthur Parkes designated manager. 5.6.1948: First trip. Sailed for Bear Island grounds (Sk. Alfred Smith). 29.6.1948: At Hull landed 2,48kits (2,356 headless), £8,117 gross. 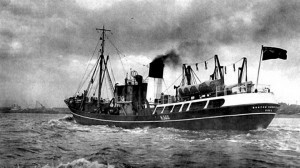 13.4.1949: Sold to East Riding Trawlers Ltd, Hull for the sum of £130,000. Charles Percy Hudson designated manager. 25.5.1949: Registered at Hull as STELLA POLARIS (H568) (MoT Minute RG1057/59 dated 3.5.1949). 1949: Spent 341 days at sea, 41,013 kits landed, £97,297 gross. 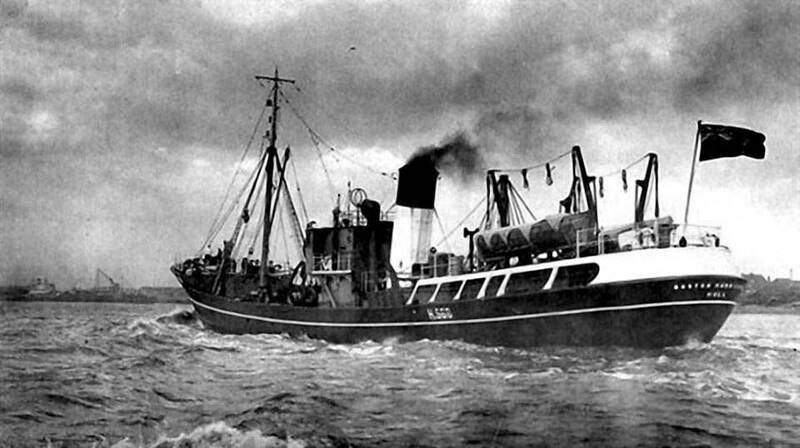 2.1951: East Riding Trawlers Ltd, Hull in liquidation. 13.2.1951: Sold to Hudson Brothers Trawlers Ltd, Hull. 9.3.1951: Registered at Hull as CAPE CROZIER (H568) (MoT Minute RG1040/51 dated 21.2.1951). Thomas Hudson designated manager. 17.2.1960: Ross Group, Grimsby acquired the whole of the share capital of Hudson Brothers Trawlers Ltd. The twelve trawlers valued at their current book value. CAPE CROZIER – £36,446. 18.1.1961: Sailed for Norway Coast grounds (Sk. Ronald Hall). 19.1.1961: In gale force winds developed severe starboard list. Brought head to wind to address stability and with list corrected, continued on passage. 8.2.1961: At Hull landed 1,632 kits (975 shelf), £7,026 gross. 25.3.1965: Last trip. Sailed Hull for White Sea grounds (Sk.H. Saunderson). 23.4.1965: At Grimsby landed 2,026 kits £7,604 gross. Returned to Hull and laid up for disposal. 5.1965: Sold to to Arie Rijsdijk Boss & Zonen, Hendrik-Ido-Ambracht for breaking up. 07/06/2011: Page published. 6 revisions since then. 30/07/2018: Updated information and removed FMHT watermark. This entry was posted in Steam Trawlers, Steamers (Picture) and tagged Boston DSF & I, Parkes on June 7, 2011 by Fred Smith.